The following is from a close friend of mine that lives in Virginia. He wrote this to just a few friends and I asked his permission to put this out in our blog. I think that it is such an important issue. Being real with ourselves and each other. We want to have all of the high level visitations and revelations and but one of them is the simplicity and everlasting nature of “His Grace toward us”. As you read it, let it minister to you. Enjoy. I had to admit to Loria (my wife) a week or so ago of the basics that I have missed along my personal journey. 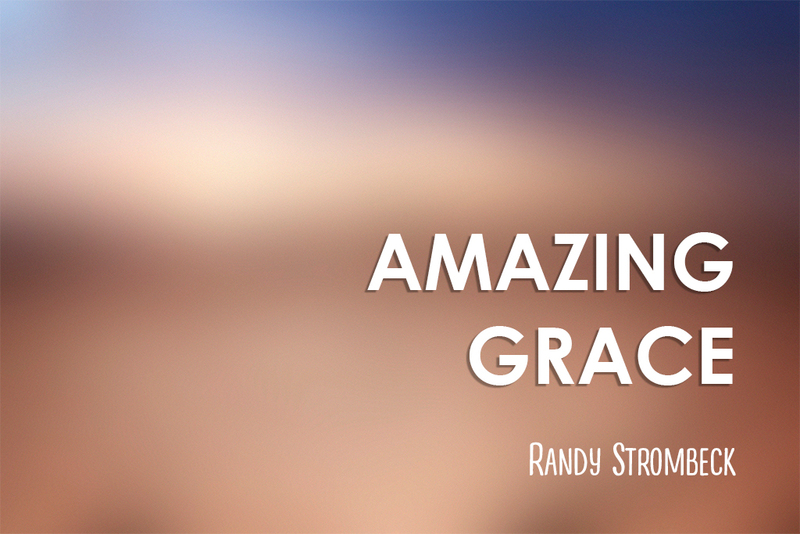 For example, The song Amazing Grace in all its grandeur and beauty truly escaped me. I have always loved “hearing” it but hardly ever let it set in. The one time I truly understood it was when my Mom was taking her last earthly breaths, I sang this song to her while holding her hand, for it was one of her favorites. As she went to our Father, I saw absolute peace and comfort in her countenance. I knew she was going home. It has been over a couple of years since her death so I began to reflect on that moment and LISTENED to the words in my mind. I can only say that I was driven to tears again as the profound lyrics that have escaped me all this time began to sink in and truly have meaning. In saying this I have secretly wanted to be a true warrior for “the cause”, but I have been unprepared trying to skip basic training. Our heavenly Dad has truly been graceful, giving me great revelation tidbits along the way. How can a “Christian” miss the mark like this? Mix in a little recipe of self righteousness, pride, feeling like I can’t be used in things that I think matter? All of the above. I am thankful that as time moves on HE has given me chance after chance. That is Amazing Grace, it is a sweet sound, and even “seasoned” Christians can have blind eyes opened ….”I was blind but Now I see”.